I wanted to take a moment to invite you to the first of a periodic series of real estate investing seminars that I will be holding in 2018 (key details below). The seminar is designed to assist individuals in thinking through the challenges and opportunities available in the real estate investing arena. My goal is to ensure that we provide value for new and experienced real estate investors alike. Or to put it another way, whether you want one investment property to pay for retirement or a portfolio to create generational wealth, this seminar should provide real value for you. 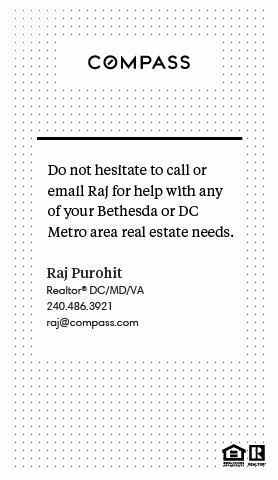 If you are interested please RSVP to raj@rajabout.com or call me at (240)486-3921. If you are not sure if this is for you and want to chat a bit more, feel free to drop me a line or call. I’d also really appreciate it if you could send this post to a few people you think might benefit from this seminar. Many thanks, happy new year and hope to see you on the 13th!